Gift from my Boss 1 Members Like This Post! 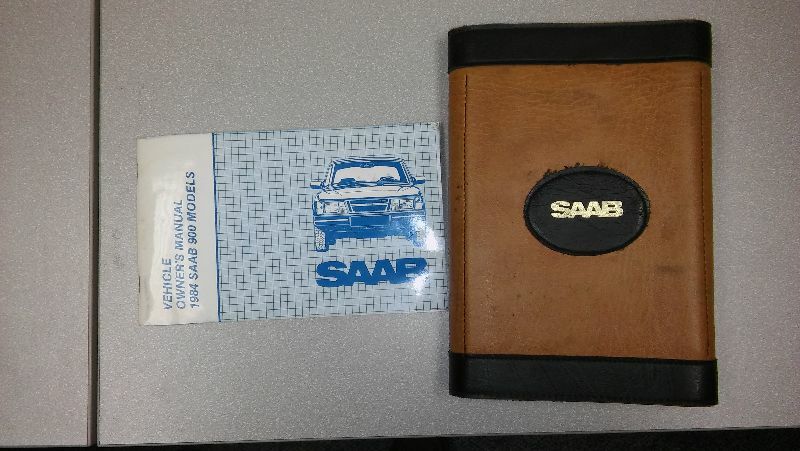 He said he was looking through his paint cabinet in the basement last night, in search of a specific paint for his boat, and found this from his Saab. I guess I need to buy a 1984 C900 'vert to go with the Owner's Manual and embossed leather glove box portfolio. I am surprised how many people here at the Nuclear Power Plant owned Saabs in the past. They all have fond memories of their cars and lots of good stories. Too bad they stopped purchasing Saabs. ->Posting last edited on Tue, 17 Apr 2018 11:14:52. Your address is: 18.234.236.14 - Using CCBot/2.0 (https://commoncrawl.org/faq/) - Logged.